An Australian-developed test for gonorrhoea has been created to help stop the spread of antibiotic resistance and to tailor treatment for patients. The sexually transmitted infection is becoming increasingly difficult to treat as antibiotic resistance spreads across Australia and the world, according to researcher Associate Professor David Whiley. Current standard treatment of the infection involves the use of two antibiotics - ceftriaxone and azithromycin - as some strains of gonorrhoea had developed resistance to a previously used antibiotic (ciprofloxacin), Assoc Prof Whiley. 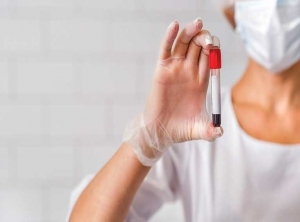 But the new test can detect patients with strains of the infection that remain susceptible to ciprofloxacin, which can spare the use of stronger drugs by "recycling" an older one. "We are starting to run out of antibiotics, so we want to make the best use of all available antibiotics," Assoc Prof Whiley told AAP. Up to 70 per cent of gonorrhoea infections could be treated with a single oral dose of ciprofloxacin if the susceptibility status was established prior to prescribing, he said. The test, which has been developed by SpeeDx in collaboration with the University of Queensland, has been submitted to the Therapeutic Goods Administration for approval and has been approved for use in Europe. Assoc Prof Whiley, who helped develop the test, said he hoped to influence treatment guidelines so doctors "get used to the idea of tailoring antibiotics".